I doubt there are many merchants who actually enjoy taking care of the customer refunds. They’re time-consuming, pricey, and a hassle. However, they’re a necessary evil. According to a joint study from comScore and UPS, consumers now expect free returns with 82 percent respondents saying they would complete the purchase if they could return the item to a store or have free return shipping, while 66 percent said they view a retailer’s returns policy before making a purchase. Refunds also prevent any misunderstanding between you and your customers, which will ultimately minimize chargebacks and customer disputes. 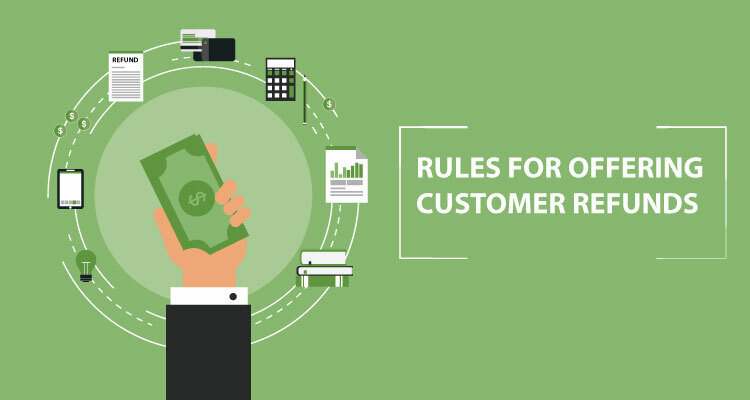 Besides, improving your customer’s overall experience, you may be required to issue a refund for certain situations, such as if there is defect with the product that you. There is also a federal “Cooling-Off Rule” that allows buyers to cancel a purchase of $25 within 3 days of the sale. Even though offering refunds may be a bit of annoyance, it’s your best interest interest to have a return and refund policy if you want your business to succeed. 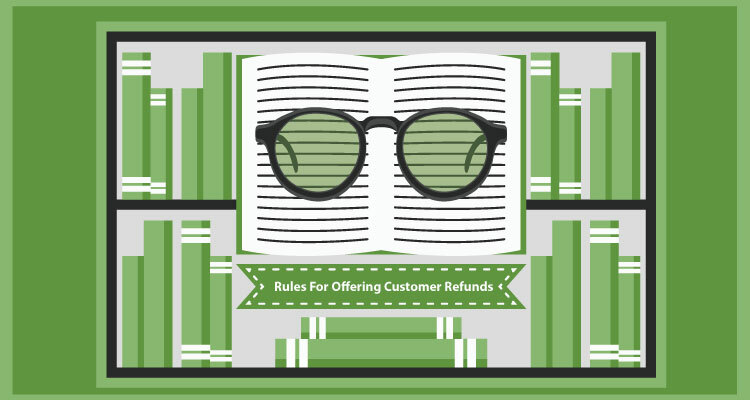 And, to help get you started, here are the rules for offering customer refunds. 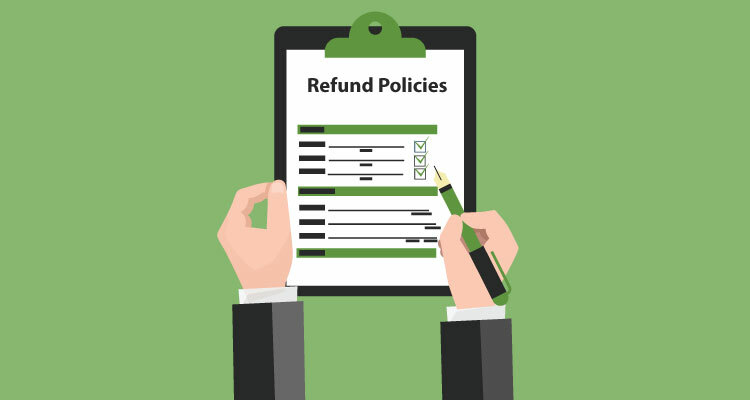 What is a Return/Refund Policy? The amount of days they have to return a product. How they’ll be refunded, like store credit or a replacement. If you offer refunds for digital products or in-app purchases. Who is responsible for shipping to return the product. While these rules are some general guidelines, you should actually find out the returns and refund laws in your state. For example, in California retailers most clearly post their refund policy unless they offer a full cash refund, exchange, or store credit within seven days of the purchase date. Retailers who fail this requirement will be required to accept full refunds within 30 days of purchase. Here’s a useful article that has customer returns and refund laws by state. The “Return and Refund Policy.” This agreement is used to inform customers about your policy on returns and refunds. The “Terms and Conditions” agreement is an optional that sets the rules and guidelines for users when they register an account with you. To save some time and money, your Return & Refund Policy could be included in Terms & Conditions. Keep your policy in broad daylight so that your customers can easily see it. Personalize your policy specifically for your business. Determine which kind of refund works best for you and your customers. Be prepared to make mistakes. However, you should always own up to them. As a general rule of thumb, the best policy is usually the simplest one. Keep it short, direct, and easy-to-understand for both your employees and customers. No Refunds or Returns or Exchanges – The merchant does not accept any returns, refunds, or exchanges. Exchange Only – The merchant will only exchange merchandise for similar merchandise. In-store Credit Only – The merchant accepts returns and offers in-store credit for the value of the returned item. Special Circumstances – The merchant and customer have agreed on special terms, such as restocking fees. Timeshare – If there is a receipt, the customer will receive a full refund if the merchandise is returned within 10 days. If the card is not present during the transaction then you must mail, fax, or email the policy to the customer. For mail of telephone orders, the customer will have to sign and return the disclosure statement, while online transactions can be completed by after the customer on an “Agree” or a similar affirmative button. Offer excellent customer service. Yes. The same customer service that has helped increase sales and retain customers is needed for returns and refunds. This means that they are friendly, responsive, are familiar with any products or services you sell, and listen to what your customers are really saying. Free returns. One of the easiest policies that you can implement is to offer free returns up to 30 days after the sale, no matter what the reason is. Return supplies. If you ship your products to your customers, then also send them a self-adhesive return label on the enclosed invoice, reusable shipping packaging, and peel-away adhesives for packaging so that they can easily return the product via USPS, FedEx, or UPS. Don’t treat your customer like a criminal. Just because your customer is asking for a refund doesn’t mean that they’re trying to scam you. Always give them the benefit of the doubt and respect them. Do your due diligence. You need to adhere to PCI compliance and verify the transaction. For example, if the card is present, ask for photo ID to verify the identity of the cardholder. If the card is not present look for suspicious signs like a different mailing and shipping address or excessively large order. This protects you from processing unauthorized charges. Be descriptive. You need to clearly describe everything from your products, shipping costs, and refund policies to avoid any confusion. Also, if you use a different name on billing statements, notify the customer before they complete a sale. Educate your employees. Most of your customers aren’t trying to defraud your business. But, there are some rotten apples out there. Educate your employees on common types of return fraud like wardrobing, stolen goods, fraudulent receipts, or price switching before issuing a refund. Most customers are going to learn what your return policy is and be able to abide by the rules. Often the old saying of, “The customer is always right,” is still a good policy to which you may want to adhere.